On behalf of families, kids, casual bicyclists and commuters, please support. 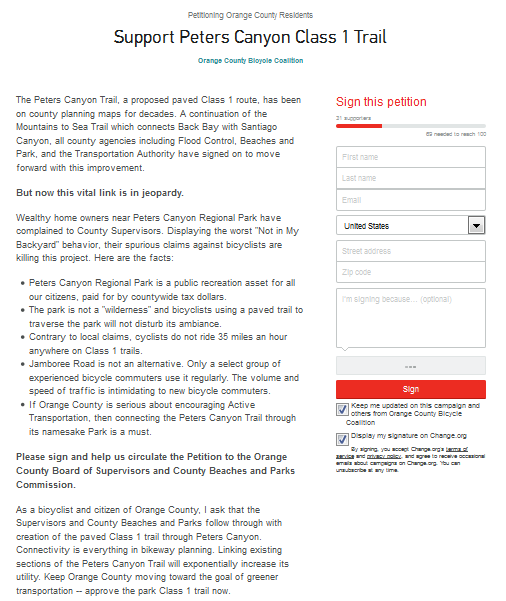 Otherwise there will be no Peters Canyon Class 1 trail– through Peters Canyon! And how ridiculous would THAT be?